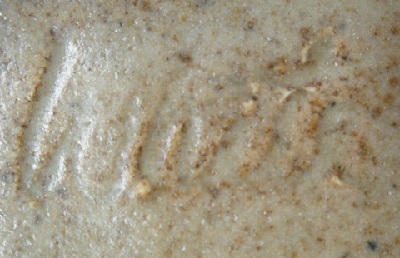 The signatures must all have been done freehand, as they vary slightly. 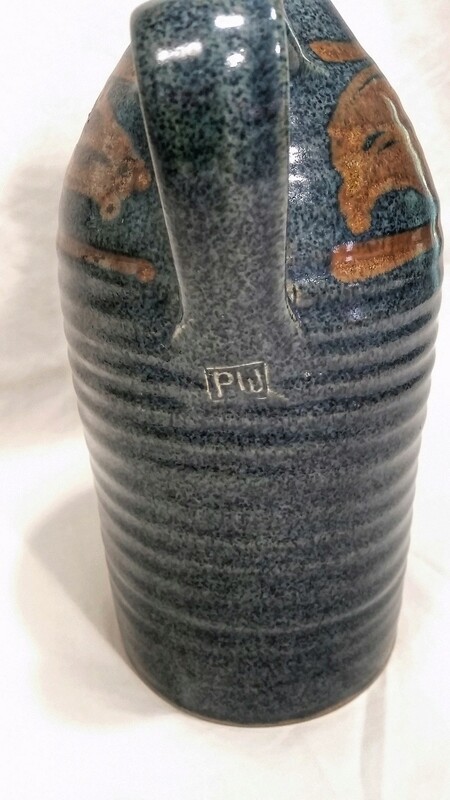 I read on an old auction, that he no longer pots, which would explain why I can't find any info on him. Could this Temuka house brand designer be the Paul White on this thread? 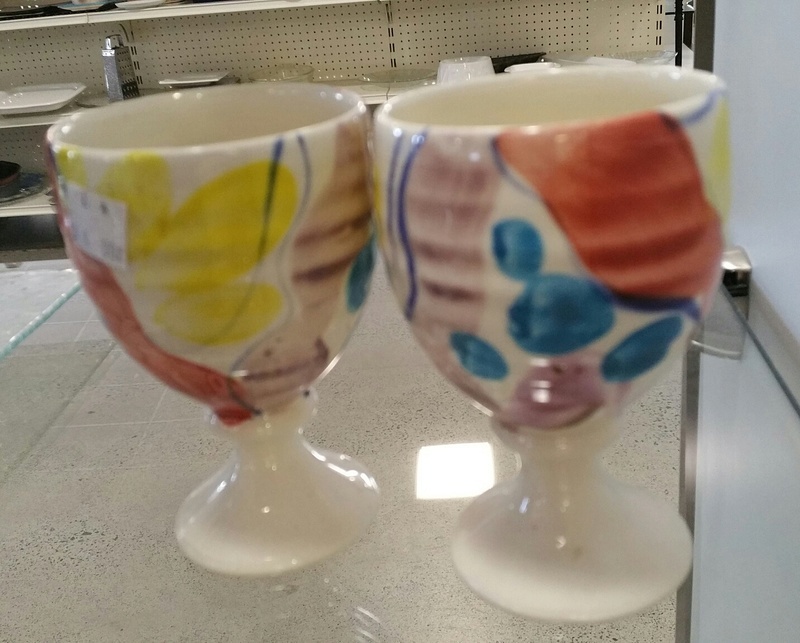 That is an excellent item on Temuka Pottery thanks haselnuss. Yes I imagine it is the same Paul White. Sunny that flattish black platter is what we call a Sushi Plate. 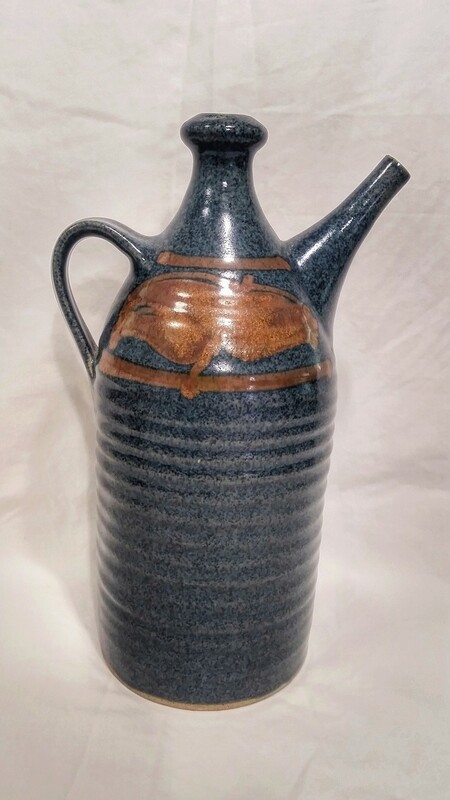 I am a huge fan of Paul White's pottery. 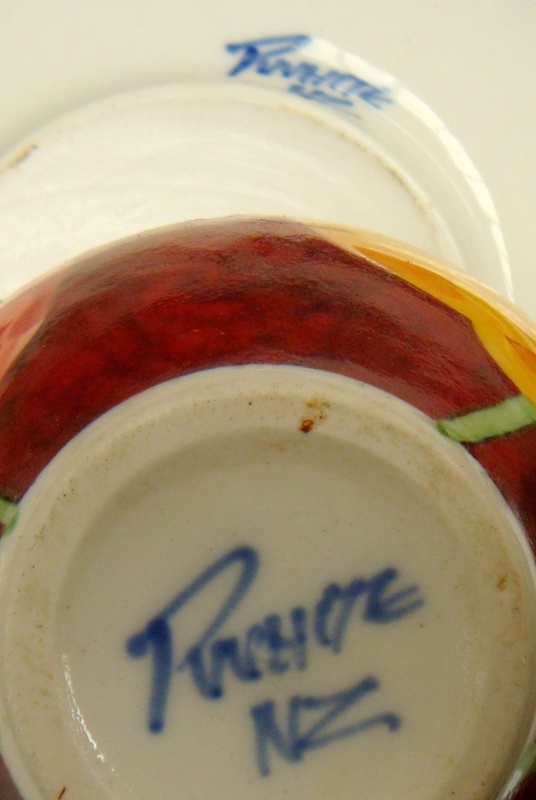 He doesn't pot any more and he definitely started out at Temuka Pottery. I am in California and am fortunate enough to get to South Island every year or two. I used to go out to Nelson Market to see Paul's latest works and buy as much as I could hand carry back to the U.S., postage being so expensive. I always bought the pansy pattern for myself and friends, but I would pick up pieces of whatever he created that year too. I went by his studio a couple of times too. 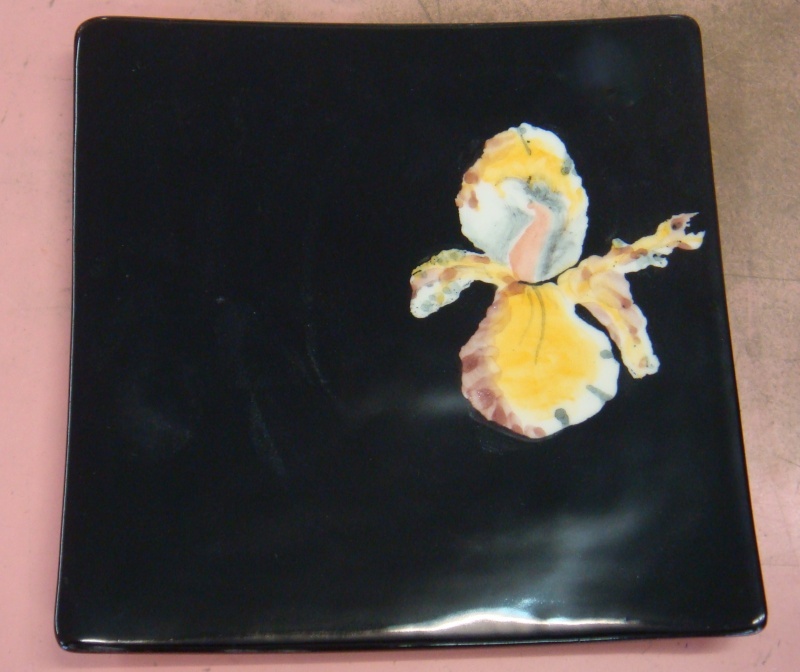 I think he was very talented, but it is tough making a living with pottery. He had some work at South Street Gallery in Nelson for a while. I was told he went to Australia for a while and I understand he came back to South Island, but isn't doing any pottery. It's a shame. 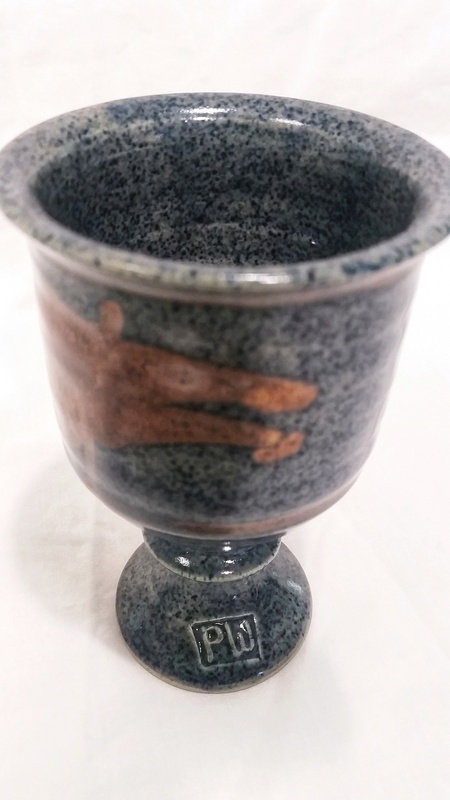 If anyone has his pansy pottery, I am very much interested in buying more of it and I am happy to pay the shipping costs. I see it on TradeMe occasionally, but I'm in the U.S. and can't buy it. 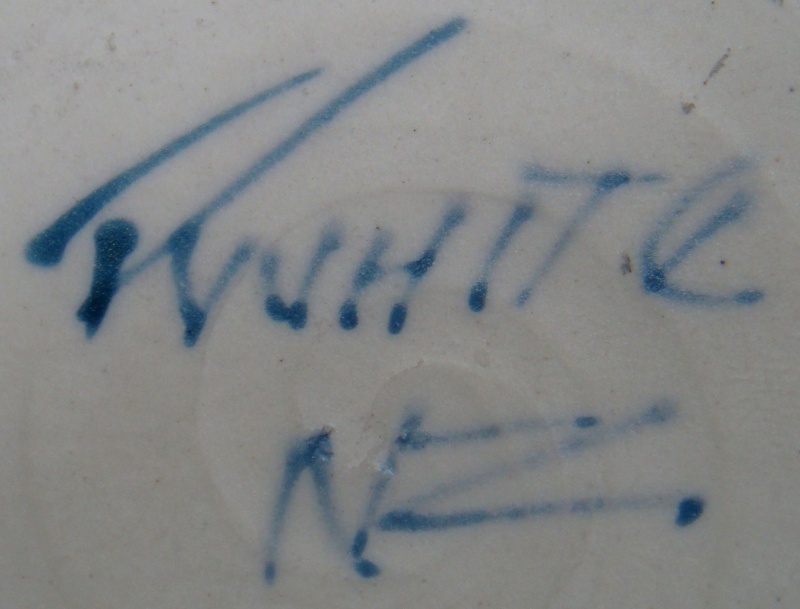 I sometimes feel like I collect extinct NZ potters, since I also have a lot of Cook's. On a happy note, Sue Newitt's beautiful work is still being made and so is Anna Barnett. 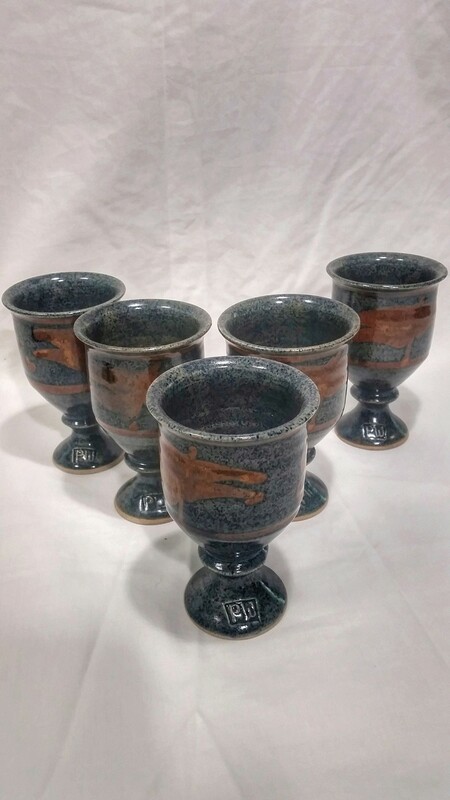 Every time I'm there, I like to explore and find more wonderful pottery. Any suggestions of more South Island potters I should explore are welcome! 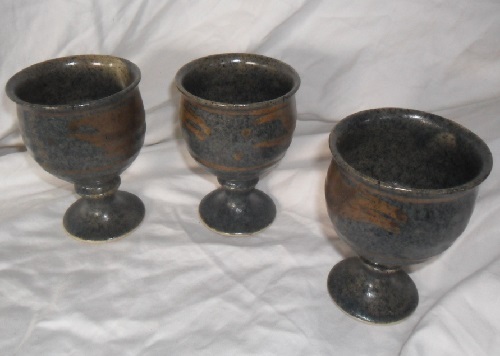 Hello NZ Pottery Lover, and welcome to the site! 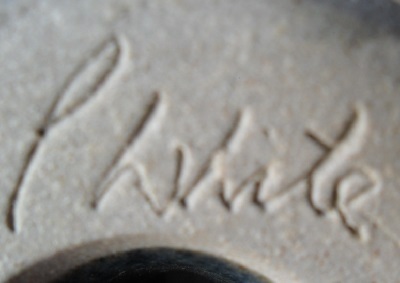 Thanks for that information on Paul White, it is most appreciated. 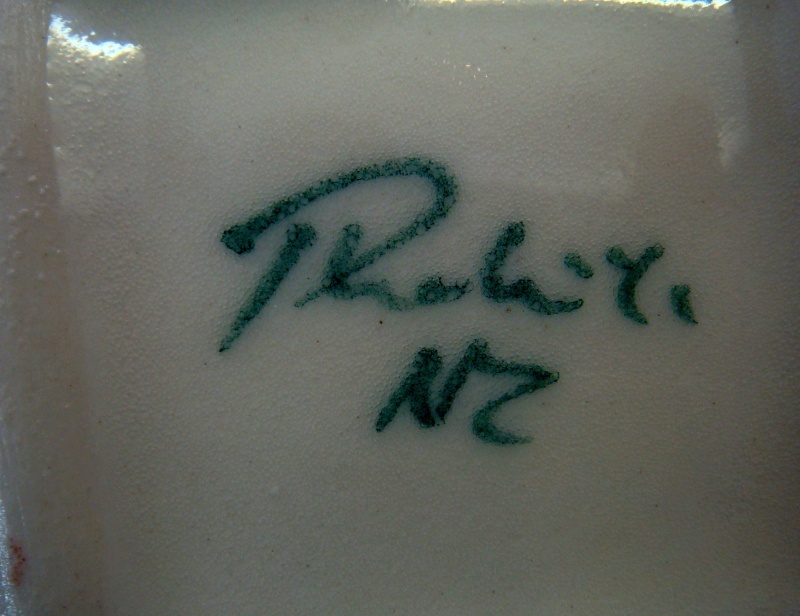 You really do like NZ Pottery, Nelson in particular by the sound of it. I agree wholly with your choice of collected potters, and I have pieces by all the above named, but then living in Mapua, they are all quite close to me! We would love to see some photos of your collection sometime (after the 7 day grace period, due to spammers). I love Mapua, especially since they diverted the highway. It's so nice and quiet now. My friend Janine Cairns-Michael sells some of her jewelry in the gallery there. I was actually staying at Jester House last trip, but I'm usually over at Joyanne's at Wairepo House. My husband is an obsessed fly fisherman so we spend a lot of time on South Island wandering. While he fishes, I go exploring for crafts. I love to go to markets and meet people making wonderful things. 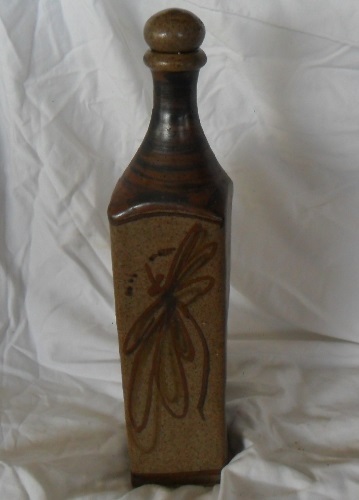 I also bring back a lot of textiles, art glass, turned wood. There are some very talented people on South Island and it is so hard to make a living with handcrafts, so I like to help support the arts! I would be happy to send pictures of what I have. Is there any trick to posting photos, as I am new to the site? I have tried every which way to upload the images, but have had no luck. If you are interested, here is the album link with the photos. 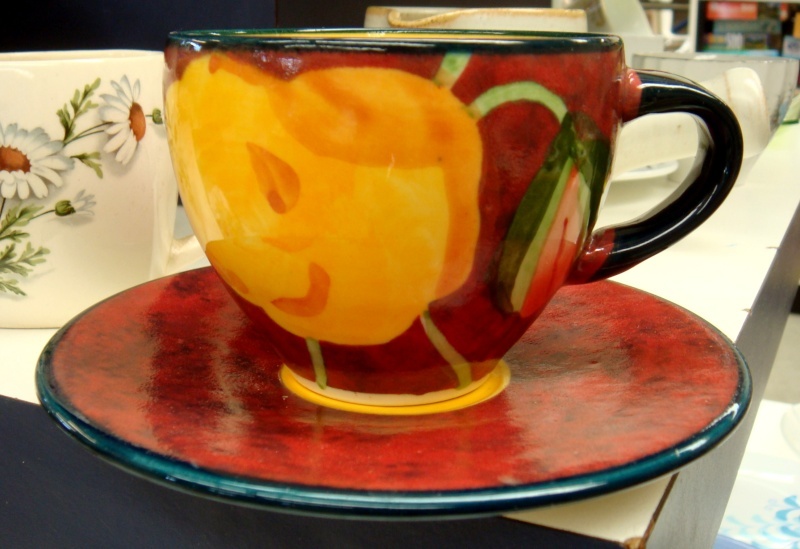 We just came back from South Island and I bought some more of Sue Newitt's pottery. It is a lovely pale green celadon porcelain with pale blue overlay floral design. Quite lovely. I will take photos before I send it to my friend as a gift. I really like the pansy decoration and consider it one of the best that I've ever seen. Hello. I have in my possession these items which I believe were made by Paul White. Could I confirm with you all on this thread iif that is correct? Hi Ev, thank you for that information. That was very helpful. 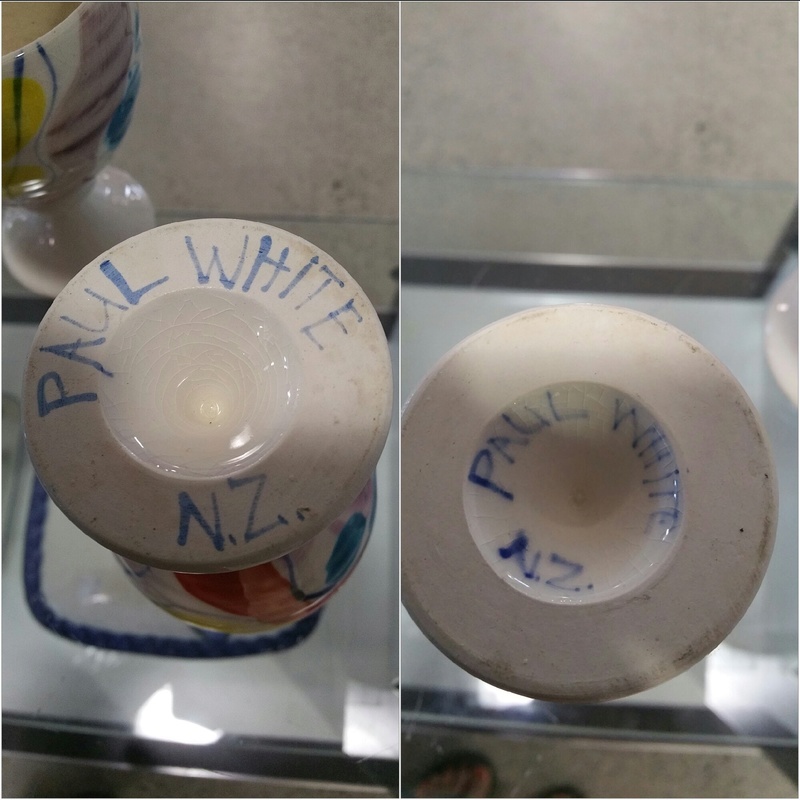 Would this be the same Paul White? 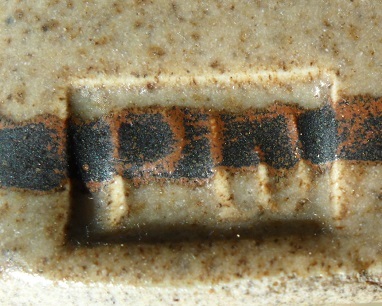 The backStamp Is different but is a simalar blue colour.